I did some shopping this weekend, I know, not really a surprise. 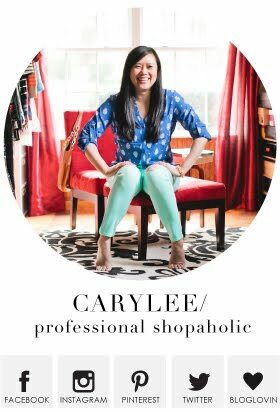 Except that I actually ventured into a brick and mortar store verses shopping online. I swear lately, I do 99% of my shopping online, although it certainly makes shopping in person more exciting - like it's more of a treat. And what place did I decide to venture to? Old Navy. The only other time I have been to Old Navy this year was to shop for workout stuff. It tends to be hit or miss for me. The basics are great. The workout wear is great. But the real life clothes tend to be spotty, and it's definitely the kind of store that I have to shop in person to feel the quality and the fabrics. I came across this dress, and I fell in love. I know, I know. I already have 23828378 striped dresses, but I loved this one because it reminds me of my tee and tank that go with absolutely everything. I feel like this dress is great on its own, but will also be a great layering piece for the cooler months. A perfect transitional piece. As much as I love summer, I am truly excited for fall. I love layers! La-la-love layers! And it's so much fun to remix items when the weather is cool enough to simply add more layers. Last year I did a post about how to build your wardrobe for the fall - if you missed it, check it out here. 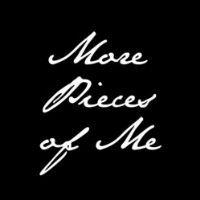 I built 30 outfits out of 30 pieces. I truly think if you stock your closet with some basics and always keep remixing in mind - your closet will go a longer way, not only through this season, but for seasons to come. Even though that post is a year old, I think the individual pieces are still relevant for today's fashion. I think this dress that I'm wearing today is one of those versatile, timeless pieces. Don't believe me? To get you even more pumped for fall - I've teamed up with a great group of bloggers for a Fall Fashion Giveaway - a $450 gift card to the clothing company of your choice (company must offer gift cards) and it *is* open to international winners! Enter to win by simply using the Rafflecopter below and GOOD LUCK! Hope everyone is enjoying their long weekend! It's been great so far, and I'm excited to still have today to do absolutely NOTHING! I truly cannot believe it's already September. 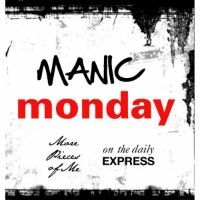 I feel like we *just* started this Manic Monday thing, and here we are, nine whole months later. So cliche, but time really does fly. 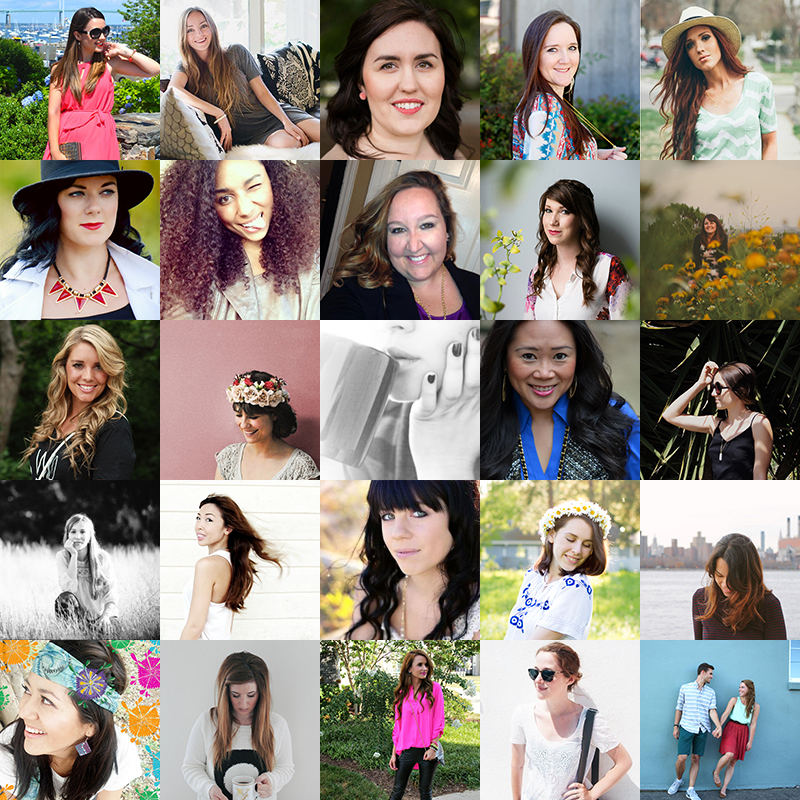 Linking up for Style to Inspire, Mix it Monday, and Rachelle and Cha Cha for #HowISummer. I am loving your dress!!! Totally want to buy it but then you said it's sold out on line!!! Looks fab on you and the leopard with stripes is one of my favs too! I am so glad Spring has arrived here in AUS for us!!! finally! Yeah, I am always bummed when I find a jewel like this just to see that it is sold out and I can't entice you all with it!! Ooh, that is a really adorable dress and a whole lot of great ways to wear it! If I could find one like that with a nice scoop neck I'd be all over it. I'm bummed Express never re-released theirs! I never understand why they don't make popular pieces like that a regular thing and release in eleventy-million colors like the Portofino. I know right!! I swear I got every color it came out with and then they just stopped. But that was right before they tried to change it up with reversible necklines. Sigh. I feel the same way about old navy, I passed by it over the weekend and was so tempted to go in but I didn't. You look fabulous in that dress and your heels are killer! These are the best heels, aren't they?! I really can't wait for the weather to cool down. Kinda tired to sweating!! Yes, I've been a striped addict for as long as I can remember! I have plans to visit Old Navy today myself! Enjoy your long weekend! Hope you picked up some good stuff! I'm convinced I find better things the longer it's been between visits! Thanks, Monica! Hope you had a great holiday! If there was ever an outfit that had endless chic possibilities, it's this! Stripes are a universal perfect item! I totally agree about universal perfection! That dress is definitely worth a trip to Old Navy! You look amazing as always and I love how you added the leopard pumps! Thanks, Erica! Hope you had a great week! Love the pops of color in the jewelry with this. And love all the ways you've styled the dress! Thanks! The necklace is great. Glad you enjoyed the inspiration! Such a beautiful and versatile striped dress, and it looks expensive. The options you give on how to wear it are really awesome! It definitely even *feels* expensive! I really love it! Glad you liked the looks! Who can not buy that pretty striped dress? It's just too versatile but how you paired with that leop print heels is phenom!!! Thanks, Rebecca! I just love it! I love the option with the chambray dress and high boots. I go to Old Navy a lot for my kids. Sometimes I find things for myself too. I could totally see why ON is a great kid destination! 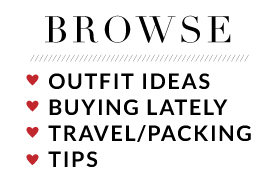 And it's def the best for basics! 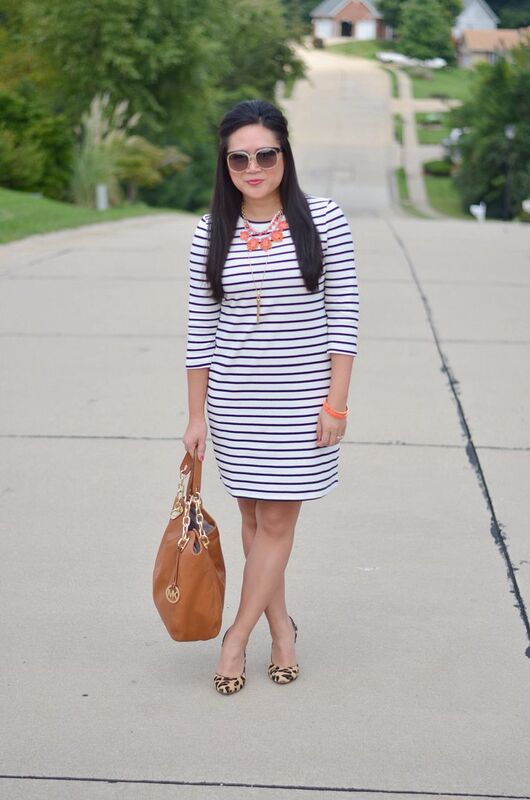 Yes, seriously, there is nothing like a striped dress! 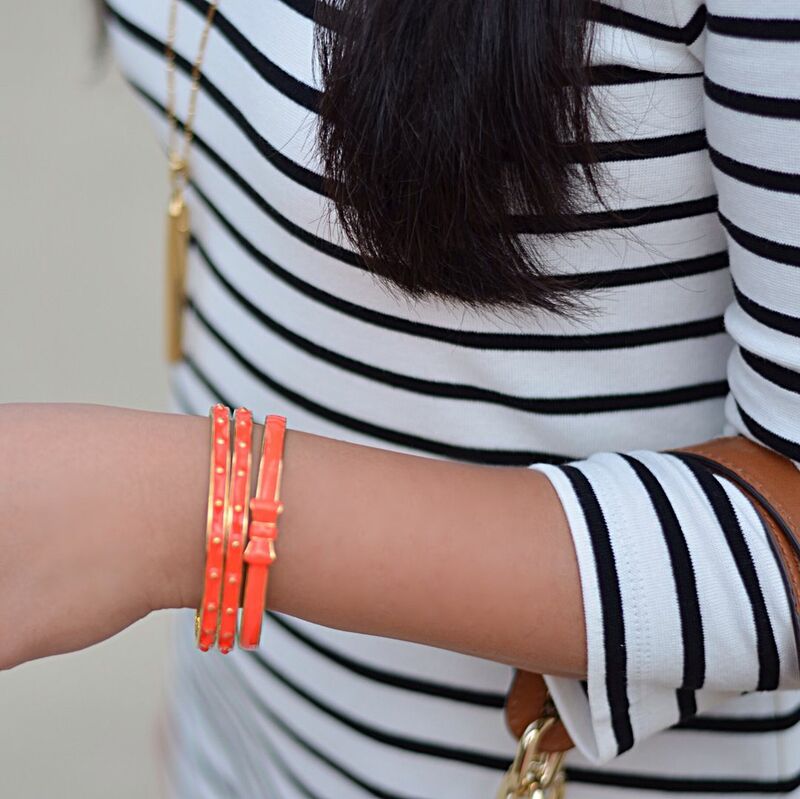 So simple, but the stripes keep it interesting! And it's such a great base for mixing and matching! I love your striped dress! You look so chic and feminine. You used just the right amount of accessories. Gorgeous! I need get one of those leopard heels. Highly recommend these heels! They're the best!! nice combo!! navy + leopard print! super cool! I just can't wait to feel the cool brisk air! And definitely the layers!! Love this dress! You are so great at making these pieces go such a long way. Beautiful!! I love the mix of the stripe dress with your leopard pumps. You look fab like usual...Happy Labor Day! Love the mix of leopard and stripes here! Thanks so much for Link Up! I always a fan of a stripe and leopard mix! Such a cute, versatile dress! Love all of your styling options for fall! This was such a great find for me. I have a feeling I will keep reaching for it! When it comes to basics, Old Navy is nearly always where it's at, we also love Target!! But loving this dress so much and you styled it perfectly. Your heels are the best!! Glad you enjoyed this! Thank you so much! Love the mix of stripes and leopard print! So chic! 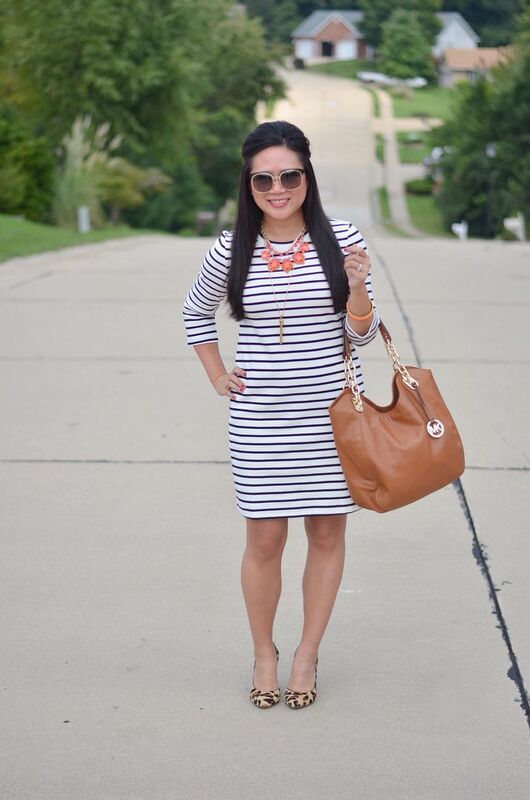 LOVE this striped dress on you! Unfortunately mine didn't work out but it looks FABULOUS (finger snapping here) on you! Yes I get my workout clothes from ON too. I agree with you about ON being hit or miss. I buy 99% of my stuff online too and I always return a lot of stuff, especially at ON. I love their return policy! Still bummed yours didn't work! Not sure how I got so lucky! Absolutely loving this look! It looks super comfortable yet so chic! Definitely comfy and I feel great in it! Thank you! 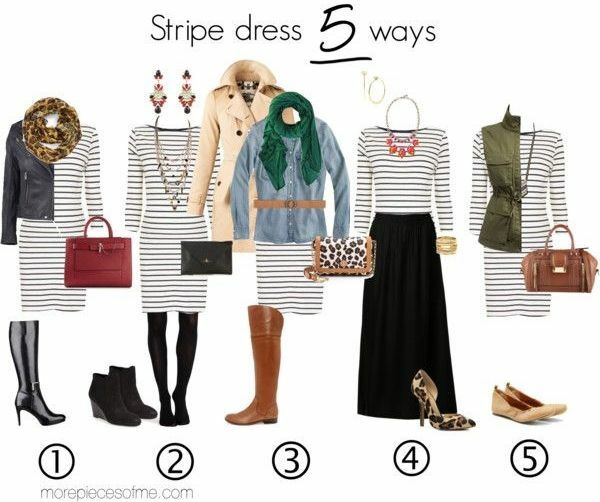 Oh yes - a striped dress seems like an essential...and I don't own one yet! I especially like how you paired it with a camo vest in the collage! Definitely comfy! You need them! Great staple dress...I actually always seem to have good luck with the dresses at Old Navy. I'm loving the way you styled it with the long maxi over it - I never think to do that!! Plus, Banana Republic has a long black maxi on their clearance rack right now that would be fabulous this way! The material is really great. It's thicker - not quite sweater material. I really love it! I honestly can't remember the last time I bought a dress from there! love, love, love this outfit! 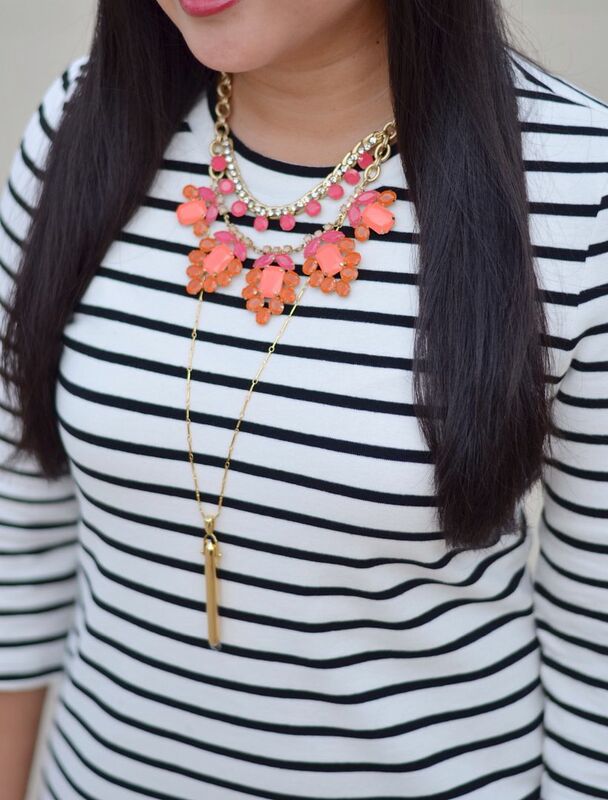 Stripes and leopard are such a fabulous combo!